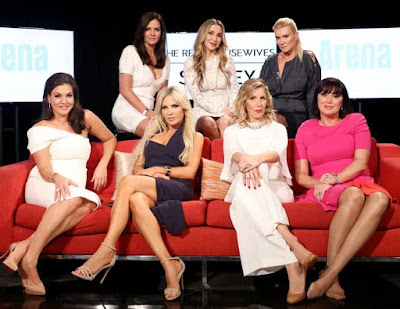 iRealHousewives | The 411 On American + International Real Housewives: The Fate Of The Real Housewives Of Sydney Still Up In The Air As Foxtel Considers Its Direction For Season 2! The Fate Of The Real Housewives Of Sydney Still Up In The Air As Foxtel Considers Its Direction For Season 2! The fate for The Real Housewives of Sydney is still up in the air as Foxtel considers the directions for season two. According to a new report, the cast members of the Foxtel hit reality series are in limbo, with the network yet to sign any of the ladies on for another year. Contractual obligations mean many of the women have been forced to knock back other television opportunities. All ladies signed a three-year contract, meaning they cannot sign on to any other shows with that period, unless released by the network. After the drama of season one, it is understood Foxtel is keen to give audiences a break before any announcements, reports The Daily Telegraph. One housewife told Confidential they were all keen to return. “We are all just waiting,” the star said. “I know everyone would be keen to come back. “It is now just about waiting to see what Foxtel wants to do and what way they want the show to go. We know as much as the public at this stage. We do know they want to shake things up,” she told the publication. Meanwhile, Foxtel maintain that no decisions have been made yet about the possibility of a second season.